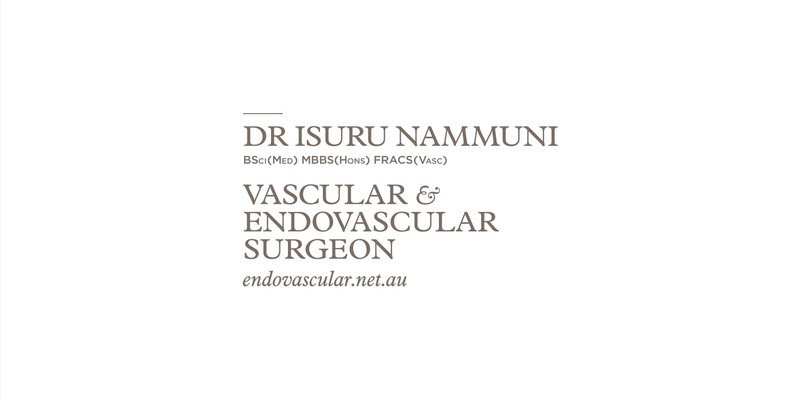 After over a decade of medical studies and on-the-job training, and following a fellowship in Germany working with some of the leading surgeons and medical technology in the world, Sydney-based vascular and endovascular surgeon Isuru Nammuni started his own practice as a private surgical consultant. 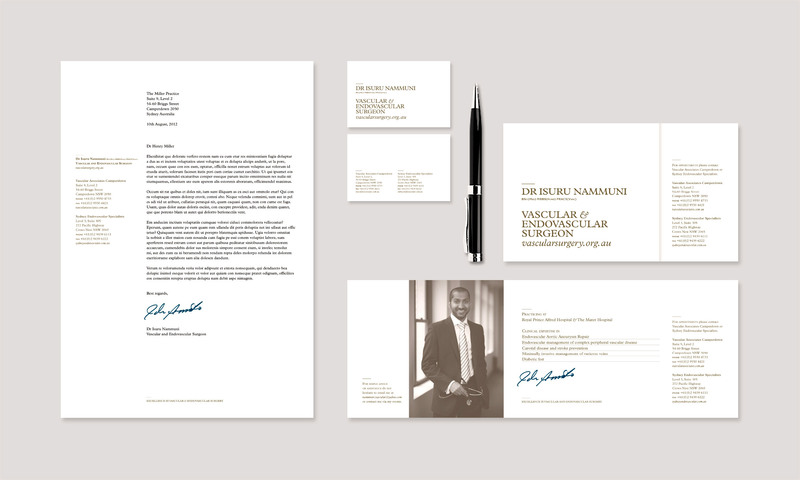 In order to build a name and reputation with prospective private clients and referring GPs, he commissioned Helm to developer an identity, stationery set and promotional mailer. 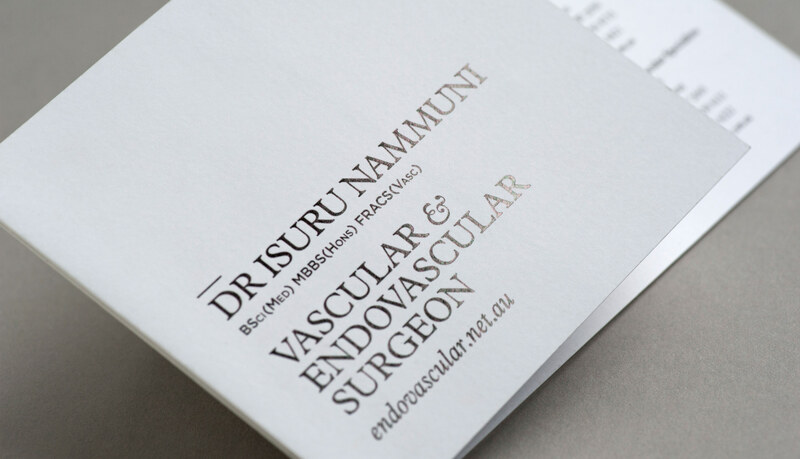 Given his clientele and the acute need for professional assurance, the resulting typeset wordmark is one of maturity; confident, restrained and sophisticated in feel, never ostentatious. 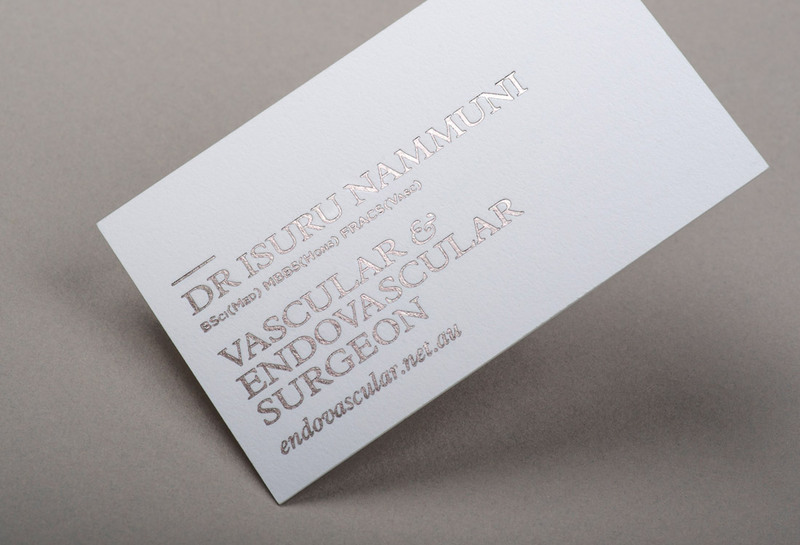 A muted gunmetal foil was used on the business cards and mailer to help elevate the quality of the correspondence above the piles of direct mail that GPs are inundated with. 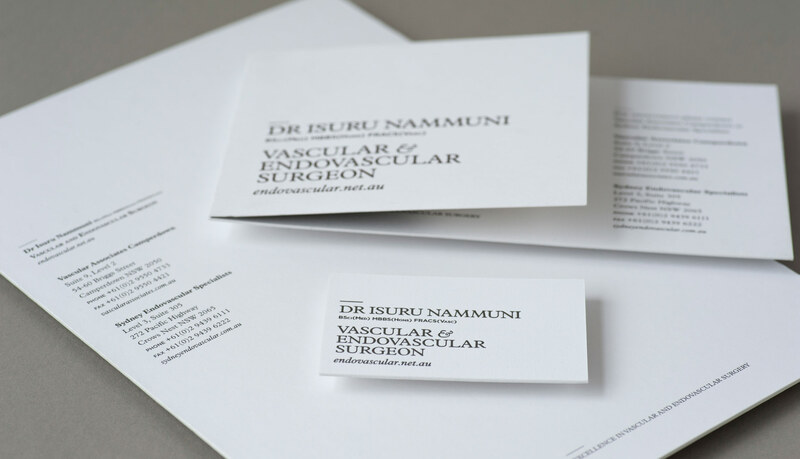 The response from both private clients and GPs has been excellent, and the practice continues to go from strength to strength. 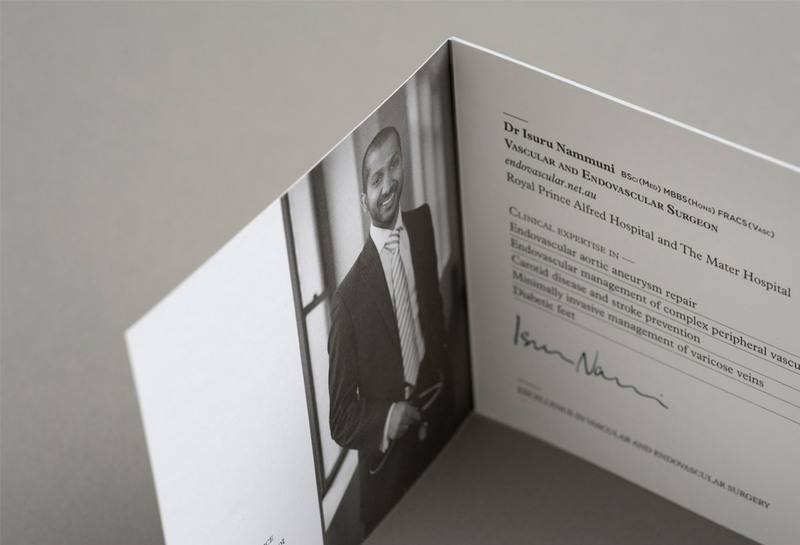 Helm really took the time from the outset to understand my business and aims in order to achieve a vision for the final product. The end result was an elegant and refined set of work that truly embodies my practice, and the response to this has really been invaluable.